She was born in Baku in 1965. She graduated from the A. Azimzadeh State School of Arts in 1984. 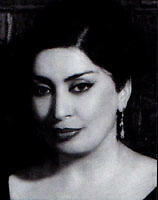 Then she graduated from Azerbaijan State University of Art and Culture in 1990. She has contributed her works to the Kirpi (Hedgehog) satiric magazine since 1982. She works as a cartoonist in a national press. She works as an art teacher from 1990. She is a member of the Azerbaijan Artists Union from 1991. She took part and won some awards in many exhibitions in the Republic and abroad, and she held some solo exhibitions. She is a member of the Azerbaijan Cartoonists Union since 2006. She is a graphic editor of the We and Cartoon magazine since 2006. 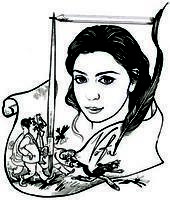 She is a member of the Azerbaijan group in FECO (International Federation of Cartoonist Organizations).